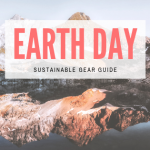 This timely post comes from Lis Korb, Tahoe Mountain Sports’ previous Web Content Manager turned Adventure Traveler Extraordinaire. Lis doesn’t dilly dally when it comes to making the most of her day, as you can see by her following suggestions for a healthier New Year’s Eve spent outdoors. Forget crowded bars, sweaty dance floors and TV screens broadcasting shiny dropping balls… this New Year’s Eve do something active or outside to really set 2013 off on the right path. 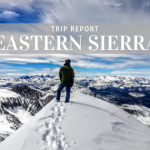 Here are my top five picks for the Tahoe area. Don’t live here? Use these ideas as jump-off points to create your own adventure. 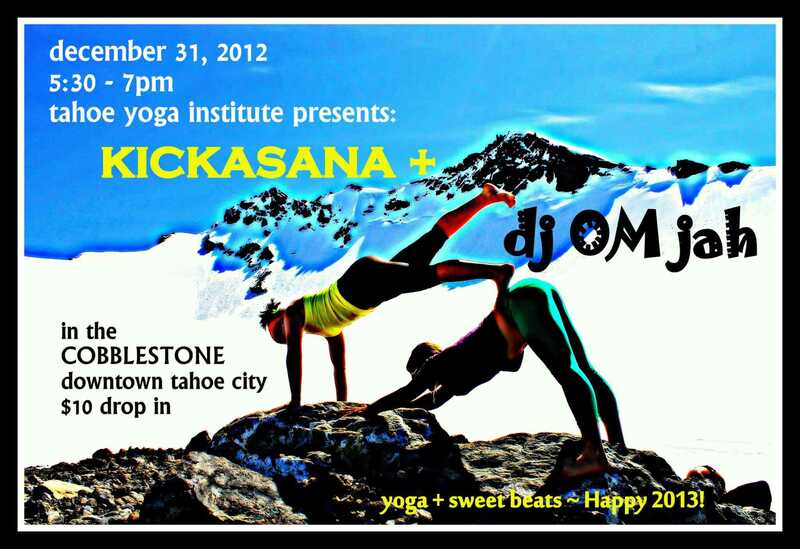 1) YOGA w/ a DJ This event is on my agenda for the last night of 2012! I’m going to sweat it out in a rocking flow class set to live DJ music at Tahoe Yoga Institute in Tahoe City. 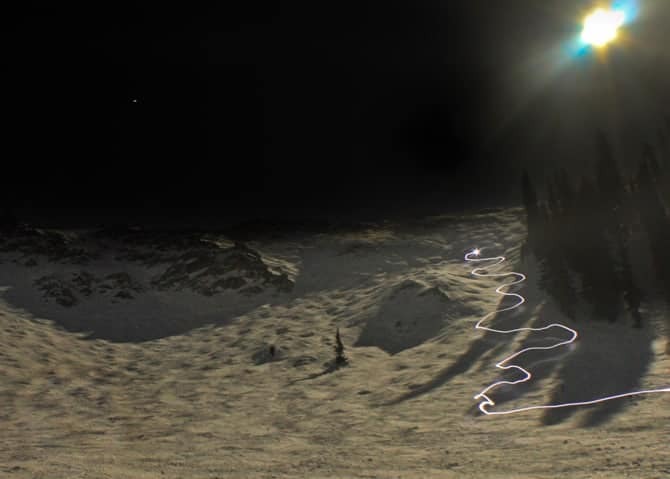 2) FULL(ISH) MOON SNOWSHOE OR SKI The moon will be just past full, so there will be plenty of light for some nighttime outdoor fun. 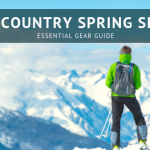 Find the nearest meadow or overlook and tromp or ski there. Bring a thermos w/ a hot toddy and you’re set! For those cold weather drinks I recommend a double-walled, insulated stainless steel bottle like a Hydroflask, which keeps hot liquids hot and cold liquids cold. 3) WATCH FIREWORKS AT SQUAW OR NORTHSTAR Fireworks go off at 9 p.m. at both resorts. It will be a pretty cool site as fireworks reflect off the snow. Night skiing at Squaw Valley is closed for the night, but you could stroll around the village and hang around the fire pits for warmth. The Northstar Village also has awesome s’more kits available, which make for a fun family treat or a romantic snack around the fire. 4) BUILD AN EPIC SNOW FORTRESS & BONFIRE With all this newly fallen snow, this is prime-time for backyard sculpting. Dig out a pit for a well-managed fire. Around it, carve out of the snow a circular bench for your guests to sit on. If you want to get crazy, build an igloo for the kids to play in, a luge course for sledding or a rail to practice freestyle tricks on. Warm winter boots like the Chilkat II are insulated, hike well and have great traction on the soles. My girlfriends and I love these boots for any outdoor winter activity. 5) PARTY OUTSIDE AT THE SNOWGLOBE FESTIVAL This outdoor winter festival in South Lake Tahoe is one of a kind. The lineup this year includes Deadmau5, Wiz Khalifa, Beats Antique, Big Gigantic, Laidback Luke, MiMosa, Madeon, Polica, Flosstradamus, Minnesota, and many more, with Gramatik and Chromeo headlining on New Year’s Eve. The Snowglobe main stage is completely outdoors (some stages are under tents) so you will have to party in your puffy. How fun would this be if snow were falling?! A full moon provides great light for outdoor adventures.